If you read last week's post, you'll know that I'm trying to persist with this healthy eating malarky. I even went to the bloody gym last week! Granted, I overdid it and awoke my sciatica, but I think it's recovered enough to do it all over again tomorrow. My only real misdemeanour was an unplanned trip to Ma Simms' Pie and Mash shop. Granted, I did go to Gorilla as well, but I had planned that... Behave during the week, treats at weekend. I managed to lose four pounds and gain a stinking headache, so I must be doing something right! I have got to the stage where I'm really unhappy with my weight. I've always been quite lucky that I don't put it on easily (despite the amount of cake and eating out...). To an extent, I still don't pile on the pounds that easily, but this has been a steady increase in the last six to twelve months that is probably a result of blogging (and therefore testing), my age and pure greed. A lot of hard work went into piling on the pounds! My 'tricky time' is mid afternoon if something stressful has happened and last thing in the evening whilst watching TV. Scientifically there is a reason for this too. These are times when our serotonin levels are low meaning we can feel quite down, therefore our bodies crave something sweet to get that much needed burst of our own natural happy drug. I read this week that totally cutting these treats out of our diet can make us more likely to binge, whereas a small treat or something with natural sugars e.g. fruit will satisfy the need and boost those serotonin levels. Monday: Low fat sausages on wholemeal pittas with a little bit of Tracklement's onion chutney. Wednesday: Tandoori marinaded chicken breast with wholemeal rice. Saturday: Free for all. My little brother is getting married! Sunday: No idea at this moment in time. All depends on how rough we are! I'm trying to stick to a healthy eating plan at the moment too! I noticed you haven't factored in any desserts, just curious - this is where I realised I was going wrong, as I would plan a healthy dinner and no dessert but almost always want something sweet in the evening so went rooting through my cupboards. Last week I planned dessert and didn't always want one, but when I did I whipped up a mango mousse with fat free yogurt for instance - much better than digging into the chocolate stash! I tend to have a little treat about an hour and a half after I've eaten. This stops the craving! I've started counting calories using a phone App too. This has been really helpful as I know exactly what I've consumed and what I'm allowed to have! I would really recommend slimming world chips to go with your burgers and beans! They are dead easy to make, chop your potatoes into chip shapes, parboil, put in an oven tray and spray with loads of frylight! They are really good! Ooh how long do you parboil then bake them for? I don't know, maybe 7 mins about? Just time for them to soften a little bit but not cook. hey hun, not sure what app you use but i've been using myfitnesspal since last october trying to lose weight for my wedding.. i lost 2 stone and that was mainly due to that app keeping me accountable. granted i put one of the two stones back on after the honeymoon.... oooops.... anyway random rant/plug for MFP! 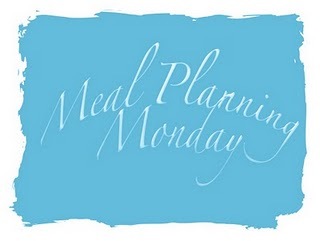 Good luck with your meal planning this week all looks good! You have made healthy sound delicious. I especially love tandoori chicken. I *love* Tracklements Onion chutney :) :) :) Keep going with the weight loss - you can do it!